Obesity and the health problems associated with it have been around for centuries. However, the field of bariatric medicine is relatively new, dating back about 70 years. During this time, medical and technological advancements have led to effective and safe methods of various types of bariatric surgery. In this blog post, Dr. Liza María Pompa González and the team at LIMARP discuss the history of bariatric surgery. Read on to learn more, and then contact our practice, serving patients in Tijuana, MX and San Diego, CA. Historical reports from the 10th century claim the king of Leon, D. Sancho, had the first bariatric surgery in Spain. According to the claims, his obesity made it difficult to walk, ride a horse, or pick up his sword; as a result, he lost his throne to his rival. A doctor sutured the king of Leon’s lips together, only leaving a small opening in the center. He could then be fed a liquid diet of herbs through a straw. The king of Leon quickly lost half of his body weight, returned to Leon on his horse with his sword in hand, and regained his throne. In 1954, the first metabolic surgery was performed, the jejuno-ileal bypass. This procedure bypassed most of the small intestine and left patients with severe diarrhea and dehydration. Henry Buckwald later modified this process, which left the patients with sustainable weight loss for several years. Intestinal bypass modifications continued throughout the 1960s and 1970s, but none were proven to be effective and safe for a wide population of patients. This all changed in 1966, when Dr. Mason, a surgeon from the University of Iowa, noticed that his cancer patients who had a sub-total gastrectomy lost a considerable amount of weight with success. 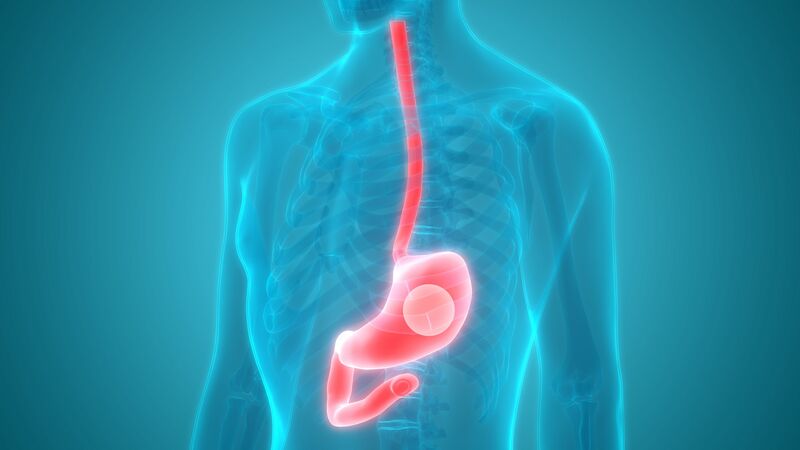 He soon proposed the first gastric bypass through a horizontal cut across the stomach with a loop that diverts the bile from the stomach and esophagus. It became the surgical standard across the medical community. In 1977, jaw wiring was being tested to treat obesity. That year, there were 17 cases published. The weight loss was successful and comparable to gastric bypass, but once the wires were removed, the patients regained the weight. Bypass surgery was still a viable option as doctors continued to test and improve their techniques. In 1986, significant changes were made to the procedure by vertically stapling the stomach with a banded outlet. This created a narrow passage for food to pass through the stomach and was a success for several years. The development of laparoscopic surgery improved the safety of bariatric procedures. The first laparoscopic gastric band was recorded in 1992. In 1994, Dr. Alan Wittgrove, performed the first laparoscopic bypass. By 2011, more than 340,000 bariatric surgeries had been performed worldwide. Weight loss surgery has become more common as obesity has reached its highest peaks. From 2011 to 2016, doctors performed more than 1,115,000 bariatric surgeries. This has helped decrease the risks of many life-threatening diseases, such as type two diabetes, heart disease, stroke, and cancer. Dr. Pompa’s surgical skills, certifications, and designations make her a leader in her field and a great choice for your bariatric surgery. Contact us online or call us at (866) 313-5750 to schedule our consultation.